Toronto police have found a vehicle believed to be involved in a weekend hit and run that has left a man in life-threatening condition. 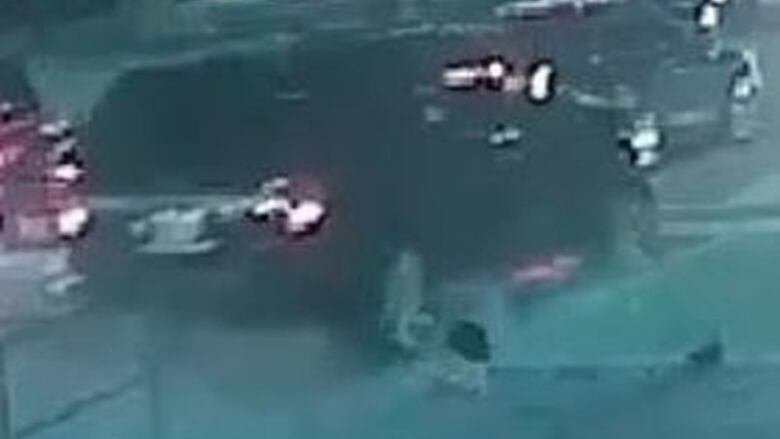 Toronto police have found a vehicle believed to be involved in a hit and run on the weekend that has left a man in life-threatening condition. Police have not yet identified the driver. 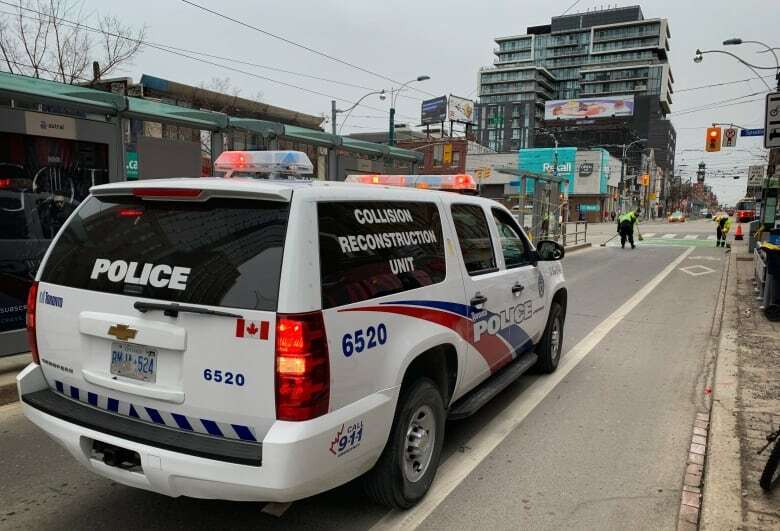 Officers found the vehicle early Monday on Ulster Street, a side street not far from where the collision occurred early Sunday at a TTC streetcar shelter downtown. 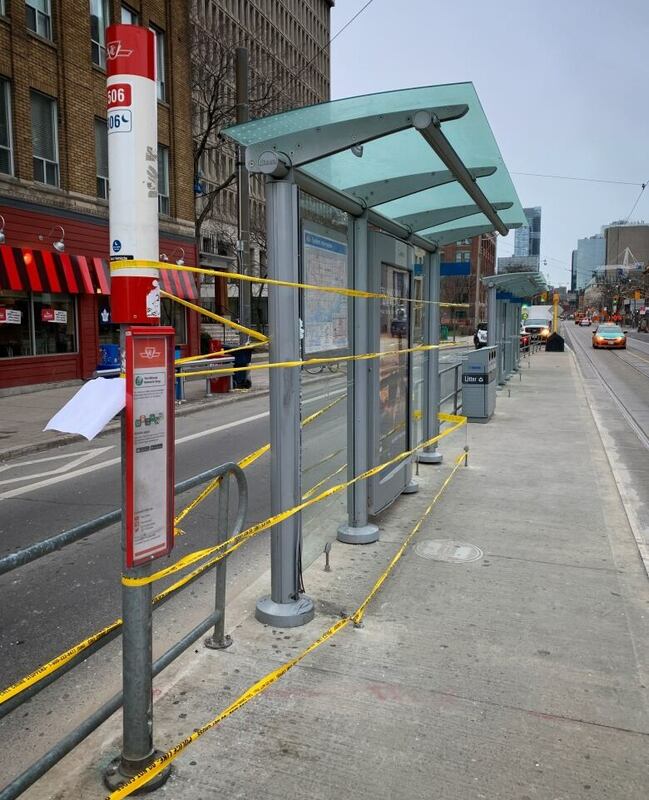 The glass shelter is located on College Street east of Spadina Avenue. Sgt. Brett Moore, spokesperson for Toronto police's traffic services, said officers found the vehicle after they received a tip from the public. "We received information from members of the public that led investigators to a residential side street close to where the crash occurred," Moore said. "We recovered what we believe to be the vehicle that was involved in the collision." On Sunday at 1:53 a.m., police were called to the shelter, which sits on a median in the middle of westbound College Street, between the passing lane and curb lane. A man, 21, who had been standing in the shelter, was struck by a vehicle. The shelter's glass was shattered by the impact. In a news release, police said the vehicle had been travelling westbound on College Street in the passing lane. When it approached Spadina Avenue, it had passed at least three vehicles that were stopped. It then mounted the traffic median, striking the glass shelter and the man. The driver of the vehicle then fled the scene. The man was taken to a trauma centre, where he continues to be listed in life-threatening condition. Police said late Sunday they found a part from the vehicle, described as a side view mirror, and determined that it belonged to a Ford Expedition, 2015 to 2017 model, or a Lincoln Navigator, 2007 to 2017 model. Police also released an image of the vehicle. Moore did not describe the type of vehicle that has been found.